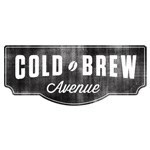 This is a re-conditioned 5 Gallon Ball Lock Cold Brew Coffee Keg, which was originally a Pin Lock Corny keg and has been converted to ball lock by replacing the posts. These kegs are slightly shorted and wider than standard ball lock corny kegs. This corny keg has been cleaned and soaked in a hot "Straight-A" (brand name) cleaning solution, re-rinsed, lubed and re-pressurized to check the seals. The kegs are in good shape, but could have small dings, dents or scratches. These will not effect the function of the kegs. Many have stickers on the outside. The keg might be of either Cornelius, Firestone (also called Spartenburg) or Italian construction. All types of kegs are manufactured to the same specifications and are of the same quality. The lids and O-rings are interchangeable. 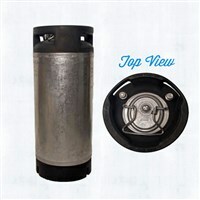 We match kegs by brand and try to match by model as well so you will be able to use the same parts in the future. We are not able to guarantee an exact match because there are sometimes minor differences even between the same brand and model. We fully guarantee your satisfaction with the kegs you purchase. NOTE: This keg has the old style pin lock lid which does not have a pull style pressure relief valve. You need to simple press down on the gas side post poppet to release pressure from the keg. Or the lid can be replaced at anytime to gain this feature.